In 2013, Chipotle released a haunting animated video featuring a scarecrow that observes the horrors of automated farming. Set to Fiona Apple’s rendition of "Pure Imagination," the ad went on to win CAA Marketing a Grand Prix at Cannes the following year. Before the Cannes judges weighed in, though, Funny or Die did with a damning parody changing the tune to "Pure Manipulation" and offering a cynical analysis of Chipotle’s marketing. "We can say what we want. In our world of pure imagination," went the lyrics. "Just pretend we’re your friends. It’s what we want you to believe." Funny or Die’s blistering critique did little to hurt Chipotle’s appeal. Instead, several incidents of food-borne illnesses over the past few months have exposed the chasm between the chain’s brand promise and the realities of running a large-scale restaurant operation. It’s safe to say, at least, that Chipotle won’t be trumpeting its "food with integrity" mantra for a while or criticizing rivals for their factory farming practices. Because of its healthy financials and sheer size — the company’s market cap is around $14 billion — few expect Chipotle to go the way of Chi-Chi’s, another Mexican chain that closed its doors in 2004 after it unknowingly perpetuated a hepatitis A outbreak that killed four people. That prognosis for Chipotle, however, assumes that the worst of the crisis is over. Going forward, Chipotle will source more of its food from major suppliers, mooting a prime differentiator from other fast-food chains. The company is also planning to launch a new branding and PR campaign to woo back its Millennial base. Already, a burrito giveaway designed to appease customers after the chain closed its doors briefly Monday for companywide safety meeting has overshadowed concerns about food-borne illnesses, at least on social media. (Reps from Chipotle and agency GSD&M could not be reached for comment.) Experts predict that Chipotle will likely end up in the clear. Almost 500 people have gotten sick from Chipotle food since last June, 20 of whom were ill enough to be hospitalized. One such customer, Chris Collins of Portland, Ore., experienced bloody stools and excruciating pain after ingesting E. coli 026 from one of Chipotle’s chicken bowls. At one point, his doctors feared kidney failure. Though that never came to pass, Collins was still weak and "emotionally shaky" in December, according to a cover story in Bloomberg Businessweek. 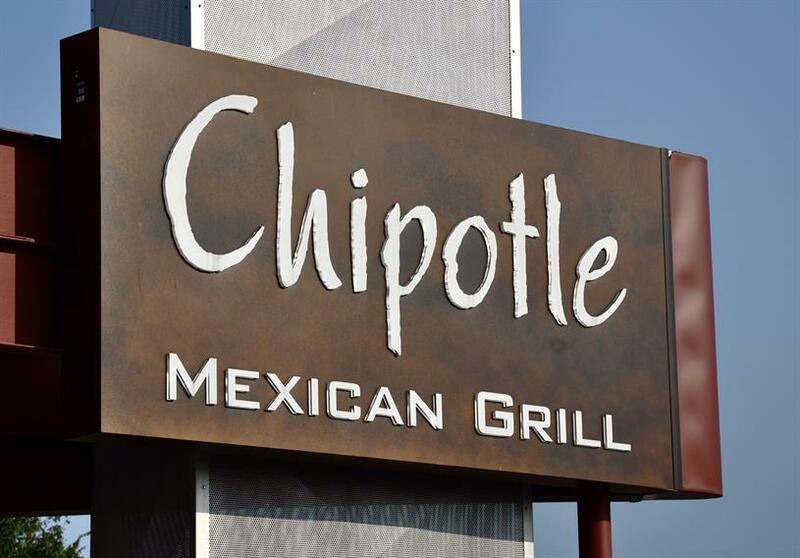 Such stories have hurt Chipotle’s bottom line and brand image. In early February, the chain said sales at established restaurants fell by a third in January. That news followed a 15% drop in the fourth quarter of 2015. At this writing, the company’s stock price was down about 42% from its 52-week high. On the brand side, Chipotle’s image has gone from positive to negative. YouGov’s BrandIndex, which surveys 5,000 consumers online every day, rates brands on a buzz score that ranges from -100 to +100, with zero being a neutral position. For most of 2015, Chipotle’s buzz score was around +10, but in January, that sunk to -29 and was at -27 at this writing. "Chipotle has been playing catch up on this crisis from the start," says Ted Marzilli, CEO of BrandIndex. "The brand was slow to respond to the initial incident. [It has] just not been able to get out ahead of this crisis, and fairly or unfairly, is paying the price in both public perception and decreased sales." Despite the challenges though, few people see this as a fatal blow to the chain. In a research note to clients, Wells Fargo analyst Jeff Farmer cited previous incidents of food-borne illnesses at other national chains to demonstrate same-store sale declines can be cut in half six months after the incidents occur (assuming that there are no more incidents). Farmer added that same-store sales of such affected companies can also rise 12-15 months after the incident. In an interview with Campaign, Darren Tristano, president of Technomic, food industry consultancy, cited the same rule. "Our research indicates that in six months, most consumers forget about these food-poisoning issues that come up," he said. In Chipotle’s case, that’s a pretty safe bet. Jonathan Bernstein, a crisis PR expert, says that Chipotle has built up so much good will with its branding efforts that it can withstand this major PR setback. He compared Chipotle to Blue Bell, the ice cream brand that is so beloved by its fans that many were able to overlook a recent outbreak of listeria linked to the brand. "Customers’ loyalty to a brand can make a huge difference in overcoming even food illness-related crises and people really stuck with Blue Bell a long time after many would have done the same — given a choice of other ice creams," he said. "With Chipotle, they created such good will before these problems that although that’s been eroded, it’s not terminal at this point." Rebeca Arbona, executive director at Interbrand, unconsciously echoing Funny or Die’s critique, noted that brand loyalty is based on a relationship that mimics real friendship. "You have many impressions and interactions," she said. "That works in your brain like knowing a person. If you know a person really well and you like them, you’re going to forgive them a lot." Arbona said that she was surprised, for instance, that Toyota not only weathered its 2009-2010 slew of recalls — issues that were linked to the deaths of some consumers — but has nearly doubled its brand value since then. That said, Tristano said that it’s likely that some customers will never return to Chipotle. Most will though. "Younger customers will return," he said. "They tend to be more trusting and more brand loyal. If we look at this, it is clearly a setback for a brand that has had nothing but success in the industry." The fact that this happened to a brand whose credo is "food with integrity" is ironic, Tristano said, but won’t prompt the masses to label it hypocritical. As Marzilli noted, Chipotle didn’t deal with the crisis effectively at first. Though the company closed 43 restaurants in the Northwest after the E. coli outbreak that affected Chris Collins became public, some 234 customers and employees contracted norovirus at a Simi Valley, Calif., location in August. That same month, some 64 people in Minnesota fell ill from salmonella-tainted tomatoes. It wasn’t until Dec. 10 that Chipotle CEO and founder Steve Ells appeared on the "Today" show to apologize to customers who had gotten sick from eating at the chain. On the operations side, Chipotle hired Mansour Samadpour, head of IEH Laboratories & Consulting Group in Seattle, to overhaul the company’s food safety efforts. Among the changes: More food will be prepared at commissaries, rather than on site, undercutting Chipotle’s "food with integrity" mantra since often the food won’t be local and fresh. Food will also be given high-resolution DNA-based tests, a measure that will weed out smaller suppliers who can’t afford that expense. On the PR side, Arbona said closing all the stores for a few hours was a good move. "It was a symbolic act," she said. "They were hitting reset." Allen Adamson, a branding consultant, said that Chipotle will have to ditch its previous brand communication, which struck a lighthearted tone and presented a somewhat holier-than-thou image related to food quality. "You want to see the CEO on screen talking about what they’re doing, not an actor saying ‘Trust us,’ " Adamson said. Bernstein said Chipotle should focus on transparency, training its personnel in the new food safety protocol and setting realistic expectations "that they’ll do their best to prevent illness, but particularly with norovirus, it’s not always possible." What might be fatal, aside from more outbreaks, is any communication that smacks of arrogance. As we’ve seen in recent years, consumers will overlook safety issues, even ones that result in deaths, as long as the company doesn’t talk down to them. As a counter example, Arthur Andersen, the financial consultant, was drummed out of existence after it got caught up in the Enron scandal in 2002. While that was a huge blow, execs at the company exacerbated the damage by behaving arrogantly during a Justice Department grilling. "They got tried in the court of public opinion," Bernstein said. Chipotle is unlikely to make the same mistake. "Ultimately it comes down to humility," Bernstein said. "If they can express sufficient humility, people will forgive them."